Today’s rehab professionals are working more closely with employers than ever, helping with injury-prevention strategies and assisting with returning injured employees to work. Employers are increasingly reaching out to rehab professionals for assistance, engaging them in services ranging from health and wellness at home and at work to consulting on the most challenging of disability/reasonable accommodation cases. Workplace safety initiatives and more targeted return-to-work efforts by all of the stakeholders are showing increasing evidence of paying off. Liberty Mutual’s Research Institute for Safety reported that in 2013, the most disabling workplace injuries cost the US Workers’ Compensation system $61.88 billion. In 2014 (the most recent data available) Liberty Mutual indicated that the cost had decreased to $59.87 billion.1 There continues to be a persistent but still very gradual downward trend in these costs, with vast room for improvement. All stakeholders in managing and preventing workplace injuries—employees, employers, healthcare and insurance professionals—need to continue honing their skills on one critical aspect: keeping employees at work—safely and productively. This mindset is paramount to the well being of employees, families, communities, and indeed our economic well being. Rehab professionals, among other medical professionals, are known for their contributions to their communities, such as fund-raising for charitable organizations, health awareness events, and sports for all ages. That same passion for contributing and making a difference needs to be committed to our employers and workers. All healthcare professionals need to increase their focus on work as the major life function the Americans with Disabilities Act has defined it to be. This is easy to say but harder to do, as it is no easy task. Injured workers can be fearful, are often defensive, and may be motivated by secondary gains such as time off or a cash settlement. The longer return to work is delayed, the more likely these traits are to appear. Keeping return to work as a primary goal in the plan of care is a challenge, but it is worthy of the effort and ultimately worthwhile for all stakeholders. 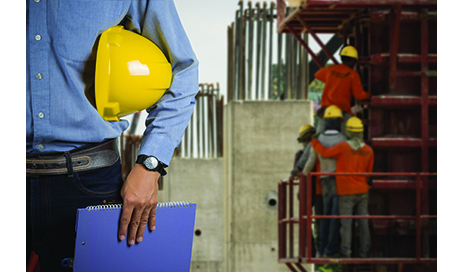 There are rules of engagement where work-related injuries are concerned. Workers are called upon to do their best to return to their job. Employers are called upon to bring workers back. Insurers are called upon to pay for the medical care that restores the worker’s health and functional abilities, particularly as it relates to their job. Rehab professionals are called upon, by the nature of our education and expertise, to efficiently and optimally facilitate safe and productive return to work. Whether or not we (as individual professionals, clinics, or facilities) realize it, we are in a relationship with the employers in our communities and they are in a relationship with us. The conduit is the worker, who is their employee and our patient. If this relationship is in a state of benign neglect, neither party is aware of what the other is thinking or capable of doing to facilitate safe and productive work. Misunderstandings can and have developed as a result. Therapy is misunderstood when it doesn’t result in the worker returning as expected. Employers are misunderstood when they appear to “make” the worker exceed restrictions, for example. Why then, is this so difficult, and so costly? What could facilitate better results? All stakeholders need to understand that a serious communication barrier exists if there is not a well-written description of the physical requirements associated with each of the essential functions of a job. The typical “laundry list” of only the most difficult physical demands only scratches the surface of expediting safe return to full-duty work. It may actually constrain it because the worker often isn’t allowed to return until he/she can do all aspects of his/her job. Today’s savvy employers are looking for ways to return their workers to their own jobs (or at least their own departments) as soon as possible, using transitional duty as the vehicle. Therefore, a job’s physical demands need to be presented in a more “job function” orientation, with each function’s physical demands clearly defined. This allows employers to “ramp up” the job functions an employee can do as the recovering worker becomes increasingly able to work. These same job function-oriented descriptions can serve to set the stage for return-to-work goals where medical treatment and, most notably, rehabilitation are concerned. Traditional therapy, for example, will be able to add job function goals into the treatment plan when objective and reliable physical demands information is available. Rehabilitation professionals can then advise employers and/or physicians by using language that all stakeholders can understand: job-specific language, written in terms of what the worker is able to do. Restrictions have long frustrated employers because they are difficult to interpret, particularly when it comes to work ability. Telling a worker (supervisor, co-workers, safety professional, etc) what a worker is able to do is much more productive and well-understood by all parties. What Does it Take to Get to This Level? First: The full cooperation of all stakeholders. In particular, employers must be willing to have job function-based descriptions of their jobs, and be willing to invite rehab professionals to develop them on their behalf. Often this requires steady and persistent education and support of the employer, who may be resistant because they have not yet developed a trusting relationship with their local rehab providers. Employers will often seek outside consultants that come and go, leaving them to fend for themselves. Insurance adjustors, case managers, physicians, and therapists must request these function-based job descriptions and make use of them. Those responsible for reimbursement must be willing to pay for them. When utilization of this function-based information is consistently happening, a more substantial downturn in disabling workplace injuries and the incredibly burdensome costs materializes. Second: The rehab professional’s willingness to get additional training and education in job analysis, document development, job function testing, ergonomics, health and wellness services, and safety in the workplace. Training programs exist that focus on the skill set that rehab professionals have already acquired through their academic studies and developed with experience. It is important to have a structured approach and an end product that is easily interpreted by all of the stakeholders. Rehab professionals are taught to take an offensive approach in their educational experience as a mechanism to help the worker achieve maximum functional ability and then adapt if/as needed. Negative and defensive approaches go against the nature of this profession. The presence of objective job information facilitates the offensive approach. An interesting phenomenon observed by this author is that in the absence of solid job-specific, objective information, the negative/defensive approach prevails. In the presence of solid job-specific, objective information, the positive/offensive approach prevails. Furthermore, the offensive approach leads more often than not to an atmosphere of cooperation among all the stakeholders. Third: The willingness of rehab providers to fully engage with employers in their communities. This presents an incredible opportunity for the rehab professionals within the community to be of even more support, by providing additional services that will reach beyond the barriers of traditional insurance reimbursement. Becoming a “go to” provider in your community for injury prevention and management services increases your overall visibility and has the potential to place you/your facility at the forefront of community leadership. The challenge is breaking out of the traditional clinic model and actually providing some services in the workplace. Job analysis, job function description development, job function testing, ergonomic support, injury prevention training and education, health education, health fairs—all should become common terminology and also common services provided by you/your practice to your community. You should measure a degree of your professional success by the impact you have on the employers and the workers you serve. The rehab professional will be able to measure success in terms of practice growth and expansion. Job analysis projects can and should bring a consultant’s reimbursement, not unlike what other consultants fee schedules might look like: professionals such as engineers, accountants, and attorneys. The rehab professional’s sense of financial worth has taken a beating as reimbursement has continued to face an onslaught of reduction. However, to charge a consultant’s rate the professional must be prepared to demonstrate that these services produce a return on investment in terms of positive outcomes. To employers that translates to dollars and cents—such as savings on medical costs, indemnity (wage replacement) costs, and legal fees. Other measures of return on investment include reduced number of work injury claims, reduced days away from work, and reduced restricted days. To the worker it may also translate to money (received instead of saved), but money will run out eventually, and it is more important in the long run to have health and functional ability—at work and at home. Virginia (Ginnie) Halling, PT, is chief executive officer of DSI Work Solutions Inc. Ginnie works with rehab professionals and employers across the US in their work injury management and prevention initiatives. For more information, contact RehabEditor@allied360.com. 1. Liberty Mutual Research Institute for Safety. Liberty Mutual Research Institute Workplace Safety Index- 2017. Available online at https://www.libertymutualgroup.com/about-lm/research-institute/communications/workplace-safety-index. Accessed January 30, 2017.